The 2018 EU General Data Protection Regulation (GDPR) replaces the Data Protection Directive 95/46/EC and was designed to harmonise data privacy laws across Europe, to protect and empower all EU citizens data privacy and to reshape the way organisations across the region approach data privacy. The key articles of the GDPR, as well as information on its business impact, can be found throughout here. 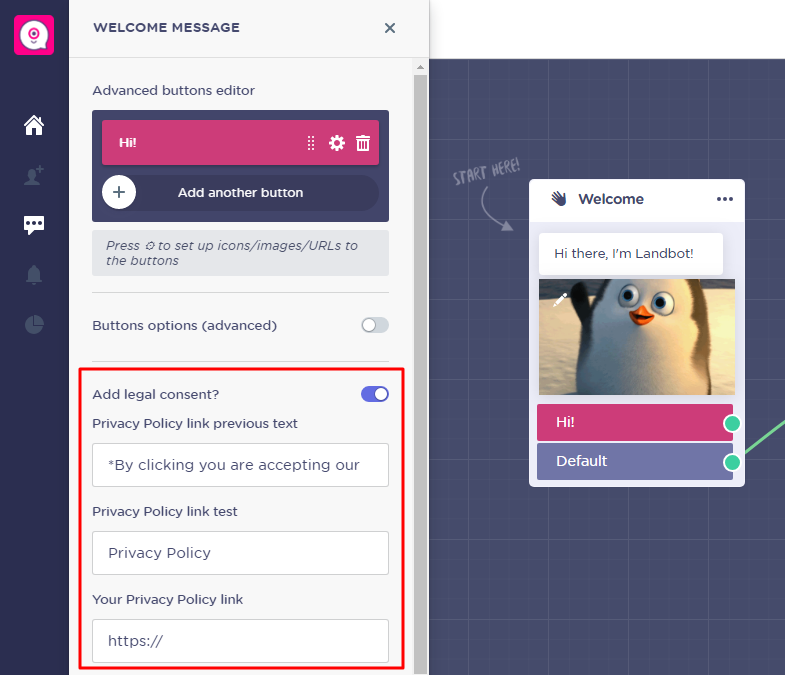 Landbot fully complies with the GDPR regulation, please find here our Privacy terms. 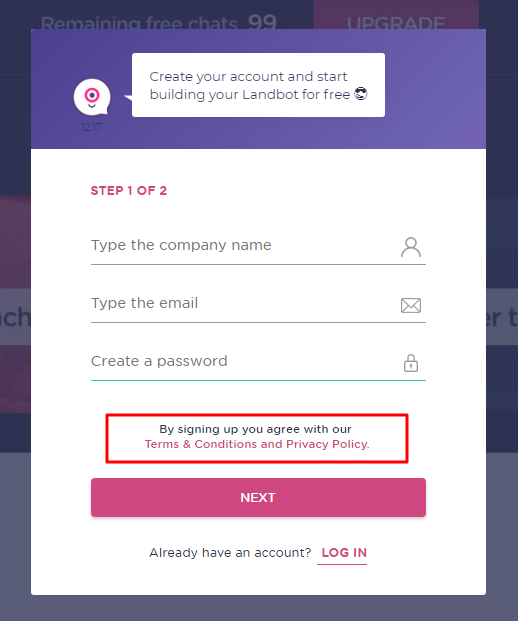 You can also find our Policies and Conditions on the login page of the app. Finally, in order to obtain the standard GDPR agreement (also known as Data Processing Contract) please download it here and send it signed to legal@landbot.io.